The "Swiss Army knife of electronics." 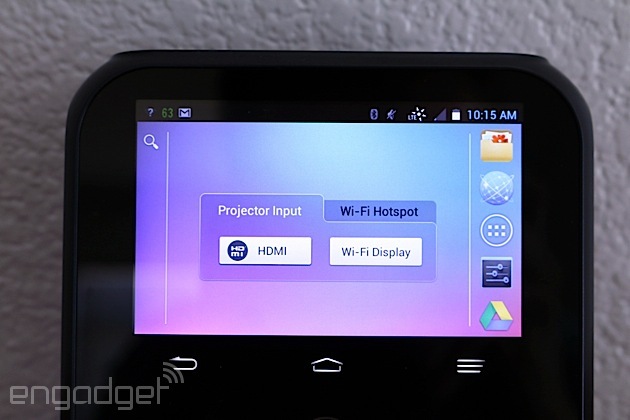 That's the best way Sprint can define the LivePro, a touchscreen projector/Android hotspot made by Chinese manufacturer ZTE. The device, which goes for $300 with a two-year contract, is the first in a brand-new hybrid category -- and depending on how successful it is, it may well be the last. Although the LivePro has a wide range of capabilities that make it useful on many different fronts, its demand will be incredibly niche. What kind of person needs such a unique device, and is it good enough to even attract them? 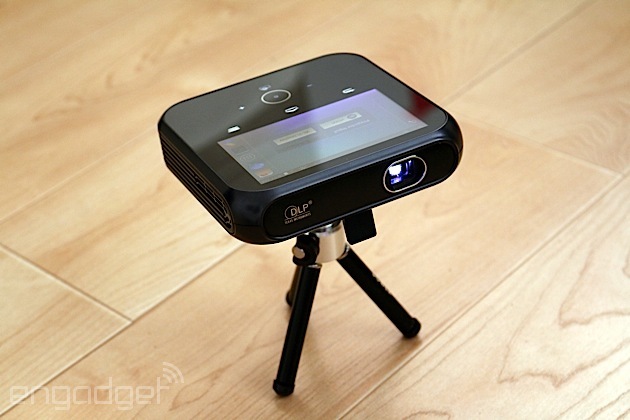 The Sprint LivePro is a one-of-its-kind device that comes with a pico projector, Sprint hotspot and Android in one device. Its niche appeal is limited to traveling professionals and families on road trips, and battery life, low specs and high price will drive potential buyers away. Be the first to review the LivePro? 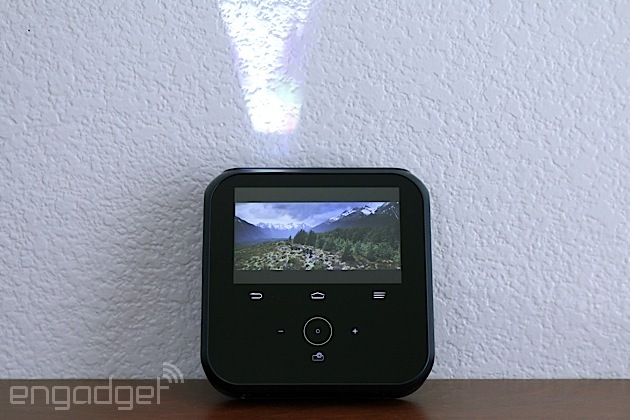 The LivePro is an awkward-looking box, but then again, it's clearly not trying to win any beauty contests -- what do you expect from an Android-powered hotspot with a built-in projector and 4-inch display? It's portability and utility that buyers will crave the most; this odd little thing will spend most of its time dragged around by a suit in a briefcase, purse or roller bag en route to endless meetings. 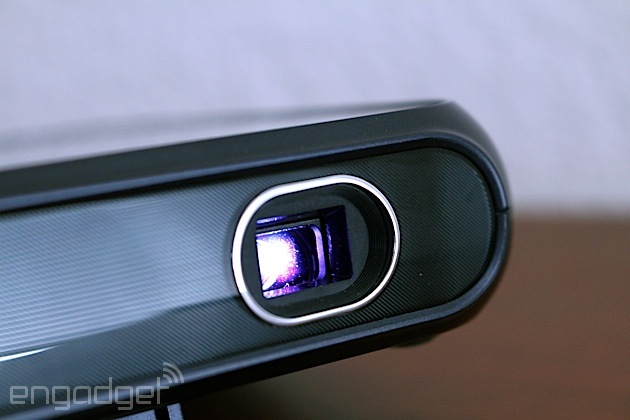 Sprint customers won't buy the LivePro to show off at parties. For the sake of comparison, it looks in some ways like a larger (4.7 inches square) and fatter (1.1 inch) version of the Apple TV with a screen and buttons fashioned onto the top and a few ridges and curves on each side. That's still a stretch, though: Despite a few commonalities, you're unlikely to mistake the two devices. (Come to think of it, you probably won't mistake it for anything else, either.) The LivePro weighs in at 14.1 ounces (0.88 pound), in large part due to the projector and fan that sit inside. Not only that, but you'll also need to take your charger along with you if you plan to use the projector (more on that later), so you'll need more packing room as a result. The LivePro has several job descriptions, including a projector, mobile hotspot, media player, smart device and external battery charger for other devices. It's a jack-of-all-trades and master of none, but that was likely ZTE's objective in the first place: Bundle all the things together so it's ideal for road warriors and families who want to consume media during a long road trip. The 4-inch WVGA display on top is disappointing. Not only because its 800 x 480 resolution produces a below-average experience and viewing angles are quite bad, but also because of how the screen is laid out. The most comfortable way to hold the device is in landscape mode, but you're given very little space to work with; whenever I needed to send an email, the keyboard blocked out the entire text field, so I had to minimize it anytime I wanted to see what I was typing. It's possible to switch to portrait mode, but it's even more awkward to hold the LivePro this way, because the screen is situated on the right side of the device. Simply put, you won't want to use the LivePro as an Android device unless you're turning on the hotspot or finding something to watch on the projector. On the bottom of the device sits connector ports for 12V power input, USB, HDMI and 3.5mm headphone jacks. You can put away all of the micro-USB cables you have, though, because you won't find any such port here. At least the LivePro comes with USB and HDMI cables in the box, so you don't have to dig through boxes of old cords to find some that work. Miracast support is also included in the device for wireless mirroring, and you'll get Bluetooth 4.0 throw in as well. You won't be able to take the LivePro on a trip around the world, because it only comes with support for Sprint's frequencies (bands 25, 26 and 41) and CDMA. 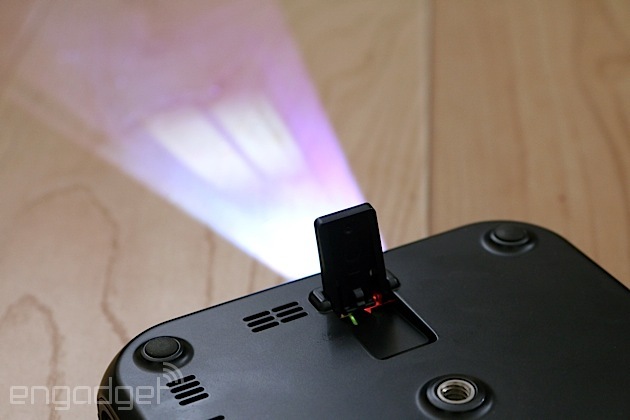 Your purchase of the LivePro hinges on how often you plan to use the projector. Why else would you want to get a high-priced device that takes up precious space in your backpack or purse? If all you need is an Android-powered hotspot, there are plenty of smartphones, tablets and other devices out there that will take care of you (and they'll likely be much smaller, too!). By adding a projector into the mix, Sprint is targeting specific demographics: Professionals who are always traveling and giving presentations, and parents looking for new ways to entertain their kids when they're away from a TV (but close to a power outlet). With a 100-lumen DLP bulb, the LivePro features a standard projector compared to most in its price range. (The best I've seen is a $350 Viewsonic model with a 3,000-lumen bulb, but that's an extreme outlier; most comparable devices are around $300 and sport 85 to 100 lumens.) Of course, this isn't an apples-to-apples comparison, since the LivePro is subsidized under a service agreement ($300, or $450 off-contract) and ZTE tacked on a full Android device; a brighter bulb would've increased the cost of manufacturing. The resulting picture is still respectable, and it's a massive improvement over older devices like the 15-lumen Samsung Galaxy Beam, which simply was a waste of a phone altogether. In case you get any crazy ideas, don't even think about using the LivePro for your home cinema. You'll definitely need something larger, brighter and more expensive. It's fine in a pinch, as you get a reasonable amount of color in a dark room, but it's meant to help you temporarily rather than be a permanent fix. However, presentations, documents, shared-app demos -- the LivePro is more than ideal for any of those. It features a native resolution of 854 x 480 and can project up to a 120-inch display on the wall or ceiling, so you won't get a very high-quality viewing experience, and it's pretty tough to see anything when you're in a well-lit room. You'll also want to place the LivePro between 10 inches and 10 feet from the surface you're projecting onto. The other problem you'll run into is the audio. The device is actually pretty loud, but the built-in fan is even louder, which makes it incredibly difficult to get a good experience when you're watching a quiet movie or on the far side of a long conference room. It's not bad if you're close to the LivePro, but the farther away you are, the more you'll be straining your ears. In this case, you'll need to add a Bluetooth speaker to your list of things to pack around with you. While you're rounding up extra stuff to take along with you, add a small tripod to your list. There's a small kickstand to prop up the LivePro if needed, but the device comes with a tripod mount if you need to adjust the projection height and angle (this will happen more often than you think). The LivePro comes with a mostly stock version of Android 4.2 Jelly Bean, which is nearly two years old. I've grown so accustomed to using devices with KitKat that using the LivePro felt like going back in time. Of course, there are a few differences: As you'd expect, you won't find any phone-related features here, nor is there a camera. Sprint's also added a File Manager and Lookout security, but otherwise the carrier kept bloatware to a minimum. In fact, you won't even find Hangouts, Calendar or Google+ pre-installed on the device. You can still download them, but since the LivePro comes with less than 2GB available storage (4GB total internal space), it was smart of Sprint to cut down on the number of preloaded apps. There are a few minor tweaks to the UI. The lock screen and notification bar are both ZTE creations, and a homemade hotspot widget occupies a large chunk of real estate on the front screen. (You can move it or get rid of it if you'd like, but you're going to need it if you plan to connect other devices via HDMI or WiFi Direct). Aside from these, you won't find many significant changes; just an old operating system with few software features or limited internal storage. An hour and a half. That's how much battery life I got when the projector played a 720p movie (the display was turned off during this time). It's barely long enough to get through a Disney princess movie, and it definitely won't get you through most standard films, either. 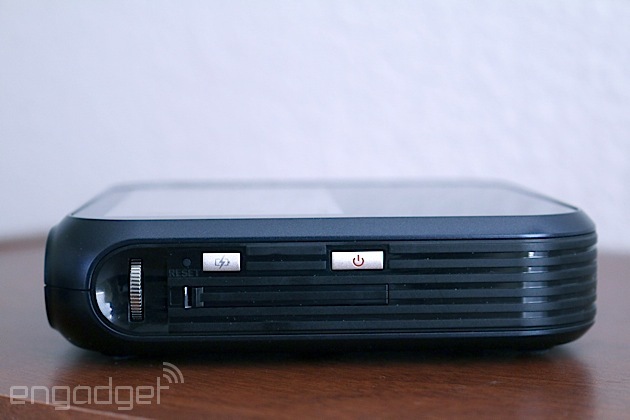 A 5,000mAh battery may sound large, but it's nowhere close to what's required to run a small projector. 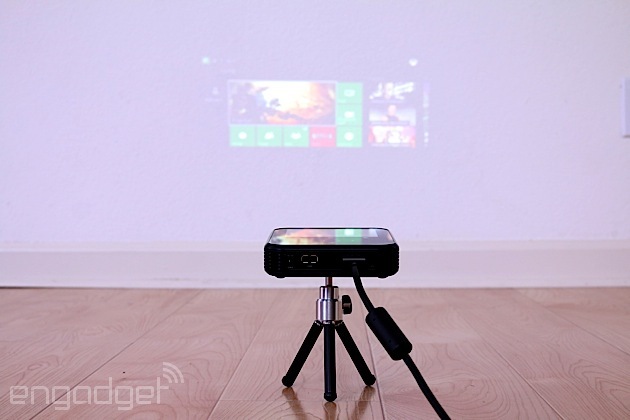 If you're planning to use the projector, a charger will be mandatory regardless of where you go. The battery can be used to power other electronic devices, but look elsewhere if this is on your list of top LivePro features. There are plenty of external battery chargers on the market at a much lower cost, and they'll still provide ample power for your devices without taking up as much room. When I used the power bank, the LivePro lasted for around four hours from full to empty. The LivePro comes with a 1.2GHz dual-core Snapdragon S4 chipset, which is even older than the OS it's powering up, and 1GB RAM. Specifically, this device uses the same MSM8930 processor found in the HTC One VX and SV, both of which were mid-range smartphones when they came out in early 2013. I'll cut ZTE a little bit of slack for this since the user experience is focused more on using the device as a media player and mobile hotspot, so the processor isn't meant to be taxed with intensive tasks. Few people will find it easy, pleasurable or necessary to use this like a tablet. This is one of those rare instances in which I was less interested in what I could do on the device's display (the low specs and subpar screen certainly don't help) and more interested in other things I could potentially do with the product. For instance, I was able to project my Xbox One via HDMI. I played a few rounds of Titanfall, but as I expected, the gaming experience wasn't anywhere close to my 1080p TV. I couldn't see enough details; I barely could differentiate who was on which team; and darker maps were ridiculously hard to see. But at least in terms of performance, everything was just as smooth here as it is on my television. Any HDMI or WiFi Display device is compatible with the LivePro, so there are quite a few potential uses for it outside of just playing Netflix -- just don't expect the LivePro to outshine HDTVs and larger projectors. Lastly, because Sprint is Sprint, the hotspot performance will depend primarily on where you're at. The carrier's Spark network is still only located in a handful of cities (oddly, San Francisco isn't covered yet, but Oakland is), while the remainder of Sprint's network is comprised of inconsistent EVDO and LTE service. I'm located in an area with moderate LTE and have averaged around 2 Mbps down and 2 Mbps up, but Spark will likely be much faster. The LivePro is the best product of its kind... because it's the only product of its kind. 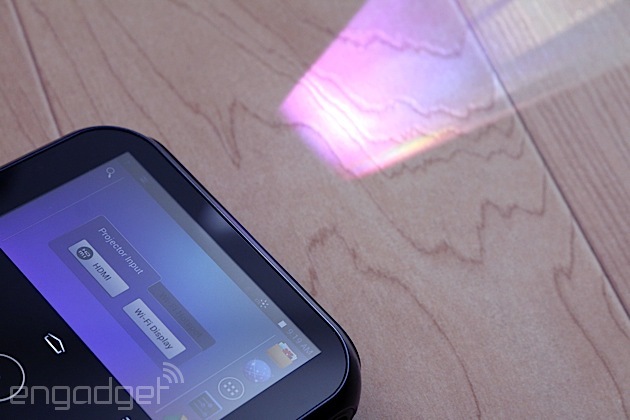 To ZTE's credit, it came up with a crazily unique device that nobody's ever seen before. Most consumers won't find much interest in it, but Sprint likes it because it adds variety to its existing lineup and introduces a product category that none of the other carriers have explored. Unfortunately, the few who might find the LivePro useful may be turned off by its short battery life, high price and aging specs. It's a device that could catch the attention of the corporate world -- if it's done correctly.